While I promise to always concentrate on the kids’ entertainment that’s the nominal focus of this blog, from time to time I see something aimed at a parental audience that I can’t resist typing about. The first such entry is a humor book for parents that came out a couple of months ago: Bill Zeman’s Tiny Art Director: A Toddler and Her Vision. I was at a nexus of parenting and graphic design for nearly four years at Cookie magazine, so it’s sort of shocking I’d never run across the blog from which this book is drawn. In it, artist Zeman has been relating his (largely unsuccessful) attempts to fulfill the drawing requests of his young daughter, Rosie. (She was two years old when he started; now she’s five.) On the other hand, I’m now sort of glad I hadn’t found it earlier, because I think I had the chance to appreciate the book, a collection of some of Zeman’s best and funniest entries, all the more. From all other indications, Rosie seems a lovely little girl, but in her assignments to her poor father and her reactions to his “submissions,” she is a true tyrant, of the kind every artist on assignment must dread: She changes her mind midstream. She flatly contradicts herself on precise details of her original requests, denying she ever made them. She completely forgets what she’s asked for seconds after she’s asked for it. She yells and demeans his talent. Having now gone back to see the original blog, I also have to say the book’s format, if anything, makes things funnier. Each spread contains “the brief” (Rosie’s original request) and the drawing Zeman has created from it on the left-hand side, and the “critique” (her reaction to the finished work), along with a stamp of approval or rejection, on the right. (I’d say the rejected-to-approved ratio approaches 20 to 1.) And while Rosie’s behavior is perfectly familiar to parents who’ve lived with kids this age, the “art director” frame has the wonderful effect of making her seem borderline insane—similar to the supremely wacked-out bosses on some sitcoms. The cumulative effect is laugh-out-loud funny, and pretty irresistible. Seattle, known since my own youth for its independent music scene, now also has a thriving music scene for youths. Now, I don’t really know that I have a huge audience in the Pacific Northwest at this point in my blogging career, but I have some news that any parents in the vicinity, whether visiting or native, should know about. Several of the city’s leading kids’ bands recently joined forces in a collective known, fittingly enough, as Kindiependent. And four of them will be performing together in a free family concert, the Share the Music Festival, in Seattle’s Freeway Park (700 Seneca Street, corner of 7th and Stewart) on Sunday, June 13, from 12 to 2 p.m.
I’m most familiar with the work of two of the bands in Kindiependent that will be playing the festival, Recess Monkey and the Not-Its, and I’d include both among the highest echelon of today’s makers of music for children. A free concert featuring both, as well as more of Seattle’s leading lights of the genre, is well worth parents’ attention. 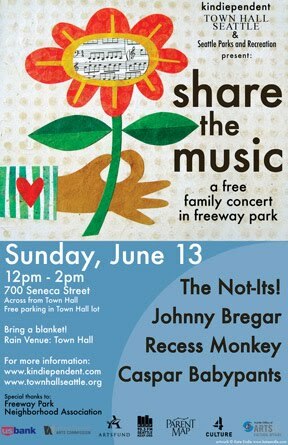 The concert will also celebrate the release of Recess Monkey’s sixth CD, The Final Funktier—and watch this space in the coming weeks for more on that album, by the way. 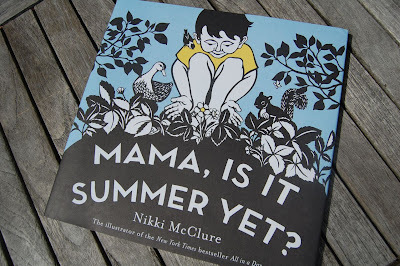 New Books: Mama, Is It Summer Yet? Sometimes you can tell almost at first glance when a picture book is going to be special. Usually the art is the driving force—so gorgeous, so unique, that it immediately separates the book from the pack. There are times when, on cracking the cover, I discover with disappointment that the storytelling isn’t up to the illustrations’ standard. But more often than not, the beauty is enough to carry a simple tale for the required duration. The best recent example I can think of is The Lion and the Mouse, by Jerry Pinkney, a completely wordless masterpiece that won the Caldecott this year; it’s probably my favorite children’s book to have come out since I’ve had kids. I recently saw another book that enters this rarefied air, one that has made me wish I’d started this blog a little earlier, so I could have featured it in time for Mother’s Day: Nikki McClure’s Mama, Is It Summer Yet? 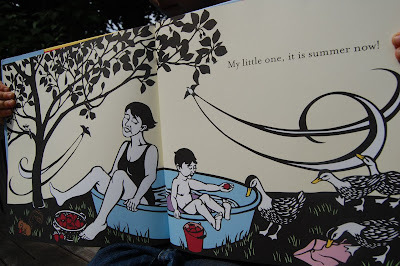 Its call-and-response-style text alternates between a boy asking the title question during the months before summer and his mother’s various answers (e.g., “Not yet, my little one. But the buds are swelling. Soon new leaves will unfold.”), until summer finally arrives on the last pages. But the art…the art! McClure’s dazzling illustrations, as she explains in an author’s note at the end, are made of cut paper: The self-taught artist drew images on black paper, then cut them out with a knife to create lacelike images. The result is truly arresting, like folk art depicting modern scenes, vaguely reminiscent of some of Maurice Sendak’s early work. The effect, in combination with the unaffected words, is nearly hypnotic, evoking a sense of peace and calm. So while I may have missed Mother’s Day, I can still wholeheartedly recommend Mama, Is It Summer Yet? as an excellent bedtime read for the little ones (and perhaps even slightly bigger ones—our five-year-old was quite taken with the art) in your household. Update: I was so forlorn about missing the holiday, I neglected to note that the subject matter remains quite a propos for the season! A friend writing a story about a backyard movie party asked me the other day for some good “summer movie” recommendations for kids—that is, our generation’s summer movies (i.e., from the 1980s) that are kid-friendly. The key being that they should be enjoyable for kids and parents alike, and the parents get a little bonus nostalgia in the bargain. The gang does the old “let’s put on a show” bit, which may sound predictable enough, but did you expect Kermit to get amnesia and think he’s an ad exec named Phil? Probably the best of the Muppets films, and a real crowd-pleaser. Some potentially scary moments here for little ones—the Pit of Despair, the Rodents of Unusual Size—and it also works for the next age group up. (Heck, any age group—I admit it, I still stop and watch it on TBS half the time.) But my five-year-old has adored it since age three, and it’s the kind of movie that’s a particular thrill to watch kids watching. I’m kind of cheating here, only justifying this choice by the fact that the first W&G short, A Grand Day Out, was made in 1989. But like all Nick Park’s work, it and the other shorts here (Oscar-winners The Wrong Trousers and A Close Shave) are endlessly entertaining adventure tales—so even if these are not strictly summer movies, they fit seamlessly in with the theme. “Safe” is a relative term, since as we all remember, this is a serious tear-jerker. But it’s safe to say it’s a classic most kids this age will be thrilled by, especially en masse. Enjoy the blank looks when you tell them the little girl voiced the female lead in the recent Curious George movie. Normally the Henson movie with puppets wouldn’t be the risky call, but this is a seriously dark fantasy, about the last of the Gelflings and his quest to end the rule of the evil (and scary!) Skekses. If your audience frightens easily, this may not be the right pick—but if they’re into fantasy lit or graphic novels, it could also be a huge hit. Henson again (live-action this time), but I couldn’t resist David Bowie in tight pants. It’s actually a twist on a really old story: the Goblin King (Bowie) kidnaps Jennifer Connelly’s little brother when she complains about having to take care of him, and she must grow up a bit and use her all her wits to get him back. Extra points for any kids who can figure out which voices are done by Elmo. I was 15 when it came out, the perfect age to resist this movie, and I did. (Happily, I caught up with it some years later.) For kids a bit younger, though, the rollicking tale of a bunch of kids on an adventure to find pirate treasure is well-nigh irresistible. And it’s packed with nostalgia-inspiring actors, from the firmly-of-the-era (Corey Feldman) to recent and current stars (Sean Astin, Josh Brolin, Joey Pants). I suppose you can see it every weekend nowadays if you don’t mind sitting through the ads, but it’s hard for me to think of a movie that would amuse and thrill a group of kids and parents more. I seriously doubt it’d be just PG today—there’s lots of swearing, some sexual innuendo, and a bit of scary ghoul stuff—but for kids who are up to it, that’ll just make them love it all the more. Meanwhile, you get to watch a Bill Murray/Harold Ramis movie. It’s win-win! All right, it’s not from the ’80s, but it’s certainly a gen-X movie. (Let’s just agree not to discuss the recent remake.) Walter Matthau will keep everyone entertained as the former minor-leaguer forced to coach the saddest Little League team ever . You may pause to marvel at how the definition of a “kid movie” has changed—there’s even more “objectionable” language and behavior here than in any other movie I considered—but you’ll be caught up in the next laugh before you have much time to ponder it. In parting, let me add that when it comes to movie nostalgia from this era, I always lean heavily on Cinema du Meep, a blog well worth checking out for the obscure and the sublime in 1980s (and many other) flicks. 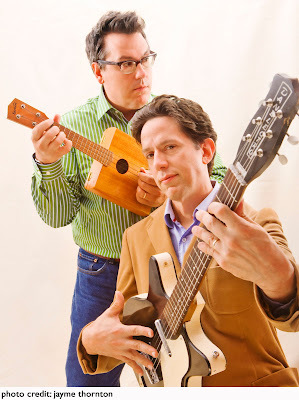 Most parents probably don’t need me to tell them They Might Be Giants make fantastic music for kids, so consider this more of a gratitude post. Because my wife and I honestly turn to each other from time to time and ask what we’d do without TMBG’s four children’s albums. On top of all that, we realized as we heard Dashiell singing “Roy G. Biv” the other day that, thanks to John and John and their band, he was…well, actually learning some things about the color spectrum. Education had honestly never occurred to us as a potential benefit of any children’s album, since most attempts at it are heavy-handed and, well, no fun. But TMBG’s songs—especially those on the science album, their most recent for kids—do what educational entertainment always tries but usually fails at: They make learning fun, so much that it doesn’t really seem like learning. So for all that—but mostly for the nonsuicidal parenting part—we thank you, John and John. Conceptual picture books—by which I mean ones that operate more from a particular theme or idea than in a traditional linear narrative—are funny things. Some of them, even the most beautifully thought-out and magnificently illustrated ones, fly right over the heads of their intended audience. With others, kids get the idea behind the book immediately and soon share its author’s fascination with the subject matter. Of course, taste is also involved; as always, the book your kid likes may put mine to sleep. (Though I may want that book anyway...) But the very best concept books have universal appeal. Johnson’s illustrations do great justice to their inspiration, combining the familiar color palette of much of Escher’s own work with a softness that adds to both the mystery and the beauty of the pages. But of course, it’s the dual nature of the images themselves that will most fascinate many kids—it was a bit of a thrill to watch my five-year-old see these types of illustrations for the first time and try to get his mind around what was happening in them. 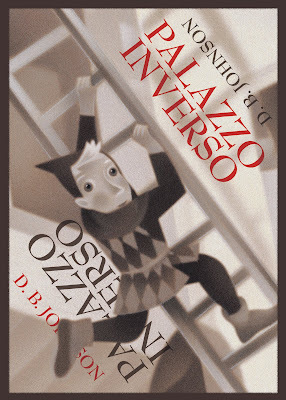 The looping effect of the text does make this book a bit risky as a bedtime read—you could get stuck in this Palazzo a lot longer than its 32 pages of minimal text would suggest, especially if your child is mesmerized by her first exposure to Escher. But that just shows it’s a picture book a kid can get lost in, and I think many will spend a lot of time examining, and pondering, Johnson’s work. After we became parents, we kept listening to “our” music with our son around without a second thought. Sure, we worried now and then about “explicit lyrics,” but c’mon, we’d been scoffing at those labels since Tipper Gore introduced them when we were kids! We weren’t going to shelter Dash. 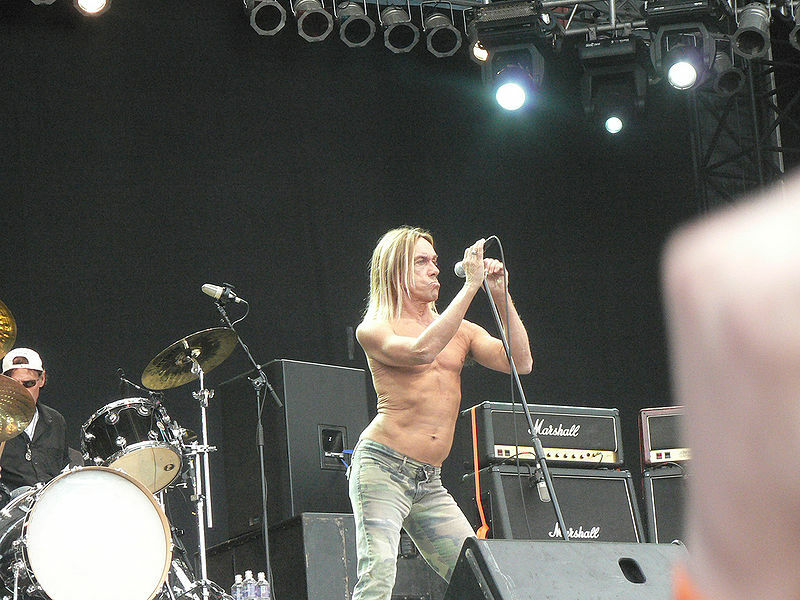 Time went by, and now Dash could talk and was asking for Iggy Pop by name. Still, we convinced ourselves he wasn’t listening that closely to the lyrics of “Lust for Life” and wouldn’t be asking us what a “flesh machine” was for years yet. Heck, the song was being used on TV commercials for family cruises—it was obvious that only we and Iggy, and perhaps David Bowie, even knew what the lyrics were saying. By this time, Dash’s favorite album to listen to in the car was by the Pogues (whose very name was only unobjectionable because he didn’t know the language it was objectionable in); his favorite song on the album was the rollicking “Streams of Whiskey.” It only dawned on us gradually that this might get some surprised looks should it come up in preschool. So we went with a third option: puttering on as we had been, with perhaps a little more attention to the issue. We don’t actively prevent anything objectionable from reaching our children’s ears, but in cases where it’s just as easy to play something without references to heroin, we do that. If they hear something they “shouldn’t” and ask about it, we explain as honestly as we can under the circumstances. As in so many facets of parenting, training your kids really means training yourself. I have to admit it: I’m favoring my eldest. 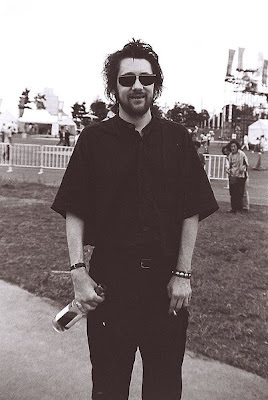 At least, in terms of writing about (and, OK, thinking about) his books and DVDs and such. While five-year-old Dash’s horizons are expanding and exploding, 21-month-old Griffin is still in the board-book phase. Worse still, Griff also suffers from the usual second-child “been there, done that” syndrome: Most of his current books are hand-me downs from Dash. Let’s just say I’m having a tough time summoning the proper tone of wonder for “Goodnight nobody” these days. Happily, there are exceptions. 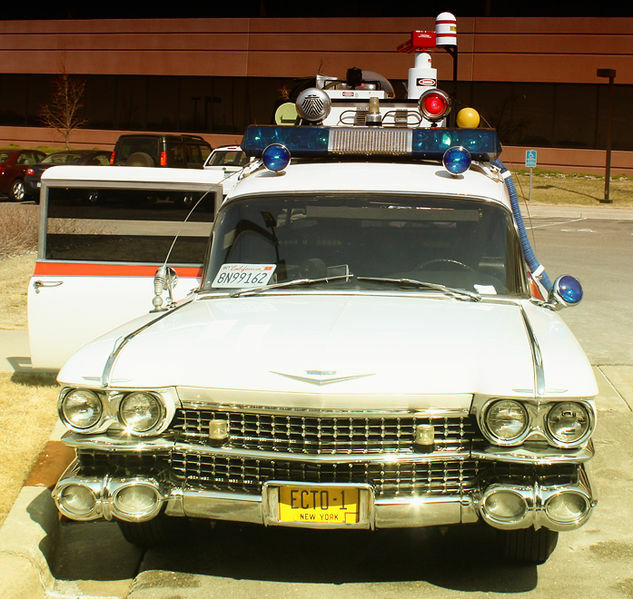 Most are long-established classics that just never get old, the Sendaks and such. 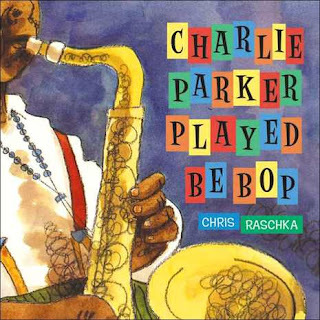 But we’re fortunate that Griff’s absolute favorite book, the one he asks for every single night, happens to...well, also never get old: the board-book version of Chris Raschka’s Charlie Parker Played Be Bop. Charlie Parker Played Be Bop essentially forces parents to perform it—the book doesn’t work nearly as well when read “straight.” I’m among those awkward souls for whom even this minimal level of performance doesn’t come naturally, and I often find myself resenting children’s books that require it. But Raschka makes it all so organic that I never resisted; in short order, Whitney and I had created our own sung version of the book, one that’s survived through all our readings with Dash into Griff’s current obsession with it. I’m sometimes surprised even now that we never tire of Charlie Parker, given how relentlessly Griff requires us to read it (and how relentlessly Dash did for years before him). It’s hard to put my finger on exactly why. But I think it’s that Raschka didn’t write a children’s book about Charlie Parker; he wrote a jazz book for kids, a fact as remarkable as it sounds. It’s a delight to read, and by all appearances a delight to listen to. The “Old School” tag has pretty much jumped the shark these days, but it fits my purpose here well: These posts are about the unique joy of sharing something you enjoyed as a kid with your own children. I remember loving in particular Seeger’s “story” songs, like “The Foolish Frog,” though I can’t precisely recall which record it is I was listening to. (I was thinking it could be Stories & Songs for Little Children, but it turns out that’s a compilation album that dates back only to 1994, by which time I’d definitely gone electric.) Later on, when I was no longer listening to my Seeger record, I would still marvel from time to time at a discovery: He wrote the Byrds’ hit “Turn, Turn, Turn”? His co-arrangement popularized the Cuban standard “Guantanamera” worldwide? Seeger’s work for kids has been so widespread through the years that you can’t help but run into it all the time when you have some of your own. I was delighted to stumble upon an animated version of “The Foolish Frog” on YouTube—and even more delighted when I saw how much Dash enjoyed it; it remains a favorite of his. Then Dash started learning some of Seeger’s other classics in preschool music classes. And then Bruce Springsteen’s The Seeger Sessions became one of his (and our) favorite CDs to listen to on long drives in the car. And then we all watched in wonder as 89-year-old Pete sang Woody Guthrie’s “This Land Is Your Land” on TV, at President Obama’s inauguration festivities. Last year, we were able to take both sons to see the great man live at the Clearwater Festival. It wasn’t just their first live Seeger concert; it was ours, too. Pete’s voice isn’t as strong as it once was, of course, but he’s still a force on any stage. He sang “Guantanamera,” then “Turn, Turn, Turn,” encouraging the audience to sing along with him, as always. Dash complied, and so did we. 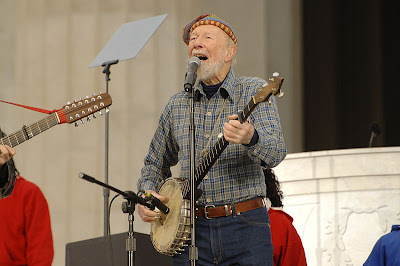 As we sang, I looked around us, and saw dozens of other sets of grateful grandparents, parents, and children, all sharing the song with one another, and with Pete Seeger. 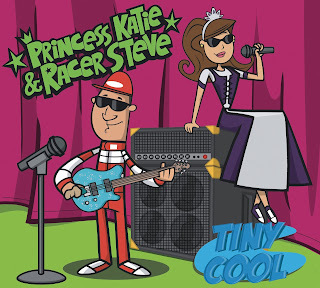 I admit to having briefly misjudged Princess Katie & Racer Steve at first glimpse, worrying that their stage personas could become quickly cloying. 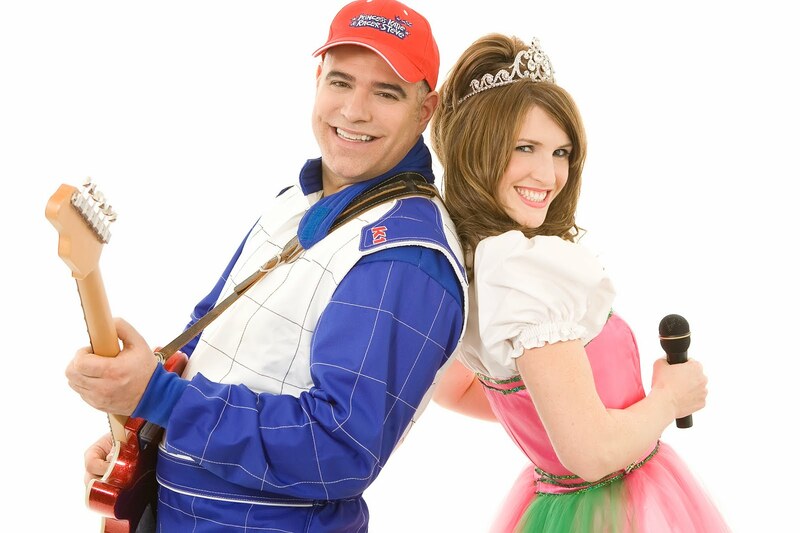 But it took just one listen to their second CD, 2008’s Fast & Feisty, to put them on my radar as a kids’ band to be reckoned with, proving that the roles of princess and race-car driver—which can be traced back to the band’s origins in hospital charity work—in no way limit their sound. The musicianship of Katie O’Sullivan’s smooth vocals and Steve Borne’s shredding guitar solos stand out even in the much improved world of today’s kid music. In their third studio release, Tiny Cool, the husband-and-wife duo further expand their musical horizons without diluting those chops one bit: With their tight backing band, they rock their way through various genres, from salsa (“Clelia’s Party”) to James Brown funk (the title track) to ’80s Go-Gos-esque pop (“Kids Rock!”), always in crisp, snappy arrangements. O’Sullivan’s lyrics keep things simple but upbeat, addressing in positive fashion such diverse issues as timidity (the lilting “Shy”), telling the truth (the ska-tinged “Honest Kid”), and the perils of eating lunch at the beach (surf rocker “Sand in My Sandwich”). You never forget these are serious musicians, while your kids never fail to be seriously entertained. And you may even find yourself smiling as you hum the catchy “Japanese Robot” to yourself at the dry cleaner. Many of these adaptations were also clearly made long ago, especially the older classics (say, Harold and the Purple Crayon and its sequels), and these have their own particular charm. But pretty much every single one does a great job of capturing the specific tone and feel of the book it’s adapting, and our sons find them riveting. Now, it’s easy to overindulge in the thought that there’s something “better” about these videos, compared to ones not based on classic kids’ books—they still are watching, not reading, here. Still, it seems to me that many of these videos have increased Dash’s interest in the corresponding books (if he has them) or led him to seek out the books at the library or bookstore (if he doesn’t). There’s a link to reading that you just don’t get with most videos. After first discovering the Scholastic videos, we went whole-hog and got an immense boxed set of them, but they’re available à la carte, too, in dazzling variety and range. Each DVD loosely groups its books by theme: African folk tales (Why Mosquitoes Buzz in People’s Ears, perhaps our family’s consensus favorite, with the title story and several others read by James Earl Jones); spooky stories (The Teacher from the Black Lagoon, which also includes a suitably creepy version of the old Eastern European folk tale Teeny-Tiny and the Witch Woman that delights Dash); books by a certain prominent author (The Snowy Day—retitled The Ezra Jack Keats Collection sometime after we got it—which also includes a bunch of lesser-known but equally excellent stories by the writer). 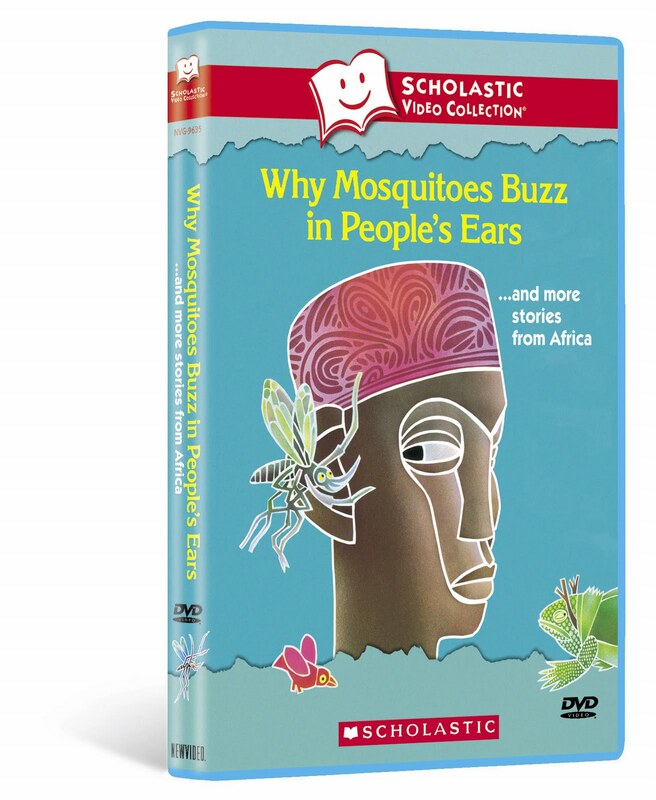 Perhaps best of all, New Video keeps coming out with new Scholastic entries. The latest additions to the canon are He’s Got the Whole World in His Hands and Runaway Ralph, the first a set of stories celebrating the environment, the second featuring another live-action video of the Beverly Cleary book. There’s something (and more than one) for every kid in this collection—and as with everything I intend to place under the Security Blanket rubric, I don’t know what we’d do without them. 1. Indulge and self-delude. My five-year-old loves these games, so let’s face it, it’s incumbent on me to hide my boredom during the 29th consecutive trip through the Peppermint Forest and just enjoy his enjoyment. I console myself with the thought that sometime amid those 29 games, Dash will lose. So he’s learning how to lose gracefully (no, I'm not that competitive!). This, I continue to myself as I flick the spinner somewhat harder than necessary, will help him be a good sport in more involved and complex games later on. The other benefit is that Dash’s 20-month-old brother, Griffin, can play Candyland with us, too. Sure, I’m spinning for him and moving his gingerbread man for him, and he may have even left the room for good after the first turn, but it’s nice to disregard all that and think, Aww, the boys are playing together. 2. Stretch the boundaries. Dash wants to play every board game he sees. He’d become fascinated with an old Monopoly game we had in the basement, and so one day I decided to break it out and see what happened. What happened was pretty predictable—the rules were way too complex. (Attempting to explain to a five-year-old what a mortgage is, let alone why it’s relevant in a board game, tends to expose the holes in one’s own knowledge in disturbing ways.) In short order, I was playing for both of us, mainly passing play money back and forth among three piles. Dash was interested only in moving around the board. He also found jail fascinating, but I’m hoping that’s merely a phase. I soon realized that without the money and real estate, Monopoly is an awful lot like Candyland. 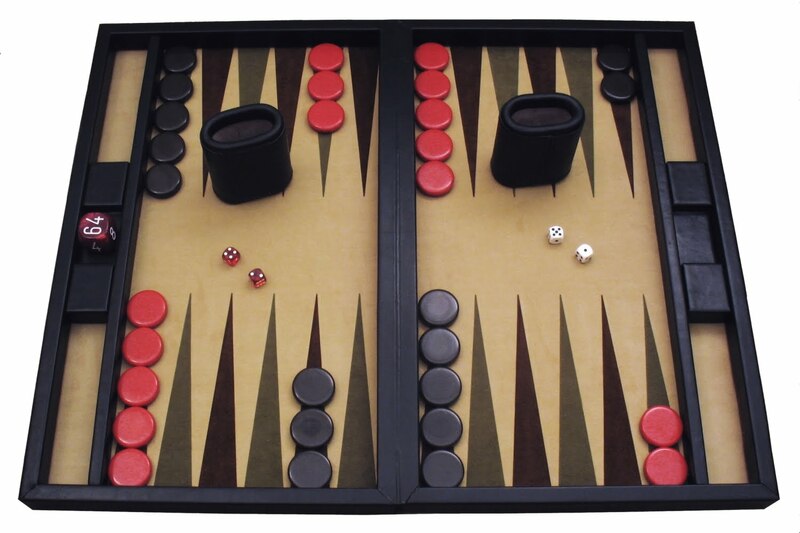 Time to backtrack; Dash had also expressed interest in our backgammon set, so I got that out. This was better. While he wasn't ready for the game’s nuances, he was able to grasp the strategy involved—that you had choices of how to move your pieces, and that one choice might be wiser than others. He did win the first game we played (I admit nothing), and heavily coached or not, his delight was multiples greater than it is after a Candyland victory. He was beaming. 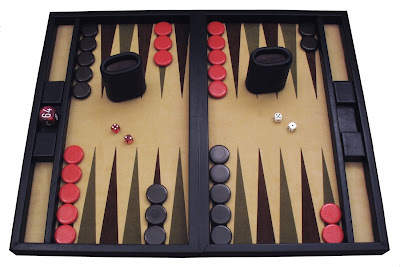 Of course, we’re won’t be ready to play “real” games of backgammon, or anything like it, for a while yet, though I’m sure my superiority is ripe for a fall soon enough. But until then, I get the fun of teaching my son something that delights him. I have a feeling I may miss that when the “real” games begin. Anyone have any other strategies for making the combination of board games and young children more interesting and/or satisfying? Greek myths were my fairy tales when I was young. I remember loving that the stories always seemed to have some kind of twist to them: the hero wasn’t always heroic, and even the gods themselves were often petty, jealous, and downright mean. The deities may have been nearly omnipotent, but they were also developed characters, and that always made for good stories. So of course, I was eager to introduce these tales, which are getting a lot more play among kids these days anyway, to my son Dash, 5. We started with the classic D’Aulaires book, and he took immediately to the adventure stories: golden fleece, gorgon’s head, flying horse. Still, the D’Aulaires’ writing style often shows signs of the book’s age—for adventure tales, it can be a little dry. Yet there didn’t seem to be much else on this subject for a kid Dash’s age. Enter graphic-novel artist and writer George O’Connor, who has created a series of comic books about the Olympian gods, published by First Second Books—the first two, Zeus: King of the Gods and Athena: Grey-Eyed Goddess are already out. Now, I love comics as only someone who wasn’t allowed to have them as a child can, but I’ll admit to some initial skepticism: Marvel Comics delved into mythology long ago, and while the results often stood well enough on their own, I wouldn’t use them to introduce anyone to the basics of Norse mythology. But O’Connor has been rigorously faithful to the original myths—he even cites his sources (the big boys: Hesiod, Ovid, etc. ), alongside suggestions for further reading in the back. His interpretations are vivid, absolutely gorgeous, and often revelatory. For instance, the Greek creation myths—Gaea and Uranus and the Titans and all that—can be murky stuff; I recall skipping over a lot of them as a kid to get to the juicier Olympian gods. 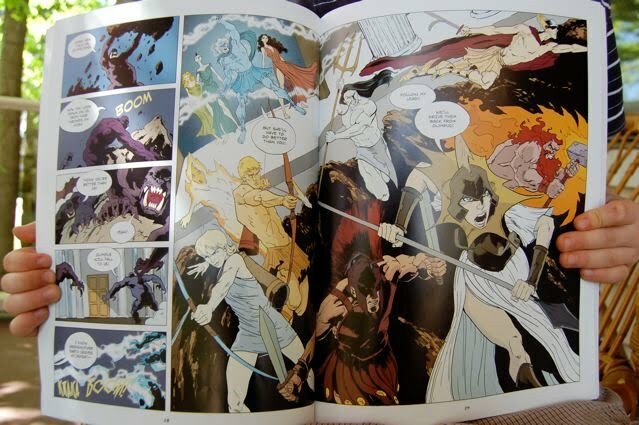 But O’Connor begins his Zeus book at, well, the beginning, and then produces both the clearest and most beautiful portrayal of the pre-Olympians I’ve ever read or seen. Of course, none of that would matter if the books didn’t play to kids. But Dash, who reads the D’Aulaires' book with calm interest, was over the moon at his first sight of Zeus--his eyes lit up, and he tore into it immediately. Both graphic novels have had great staying power, too, making repeated appearances at both bedtime and in his solo reading. 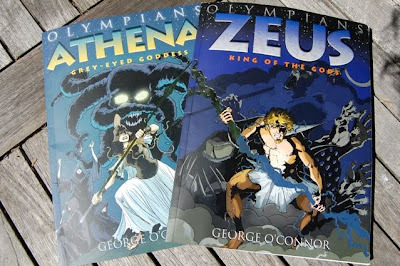 O'Connor has created a fantastic, and much-needed, addition to the Greek-myths-for-children genre. Dash can’t wait for his next entry (Hera—oooh! ), and honestly, neither can I.